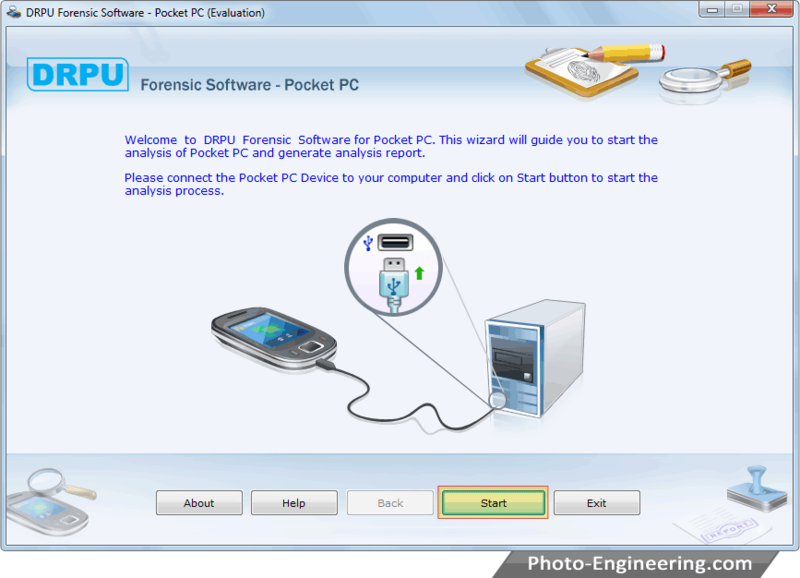 Pocket PC Forensic Software is designed for investigation officers, detective agencies; forensic officers etc as software helps in extracting all detailed information of the windows based mobile phones. Information includes hardware configuration details and other files, Database, OS Registry and Phone book information records. Investigation tool has the capability to track general information of Pocket PC mobile devices which provides details of mobile Manufacturer Name, Model number and other general information. Forensic utility is easy to use and can be configured with your hardware through USB port and detects data securely and accurately. Forensic software is used for investigation purposes. Software fetches PDA device’s hardware and software general information in detail. Provide option to generate detailed information report in TXT as well as in HTML file format and saves at user specified location for future use. Provides wizard like user interface because of GUI. Brands - iAudiovox PPC 5050, Orange SPV E200 Smartphone, BenQ, Nokia E- Series, Carrier Devices i-Mate, Nokia N- Series, Samsung blackjack, Pocket PC Phone, Motorola MPx200, Siemens, Sony Ericsson PDA Device and more.